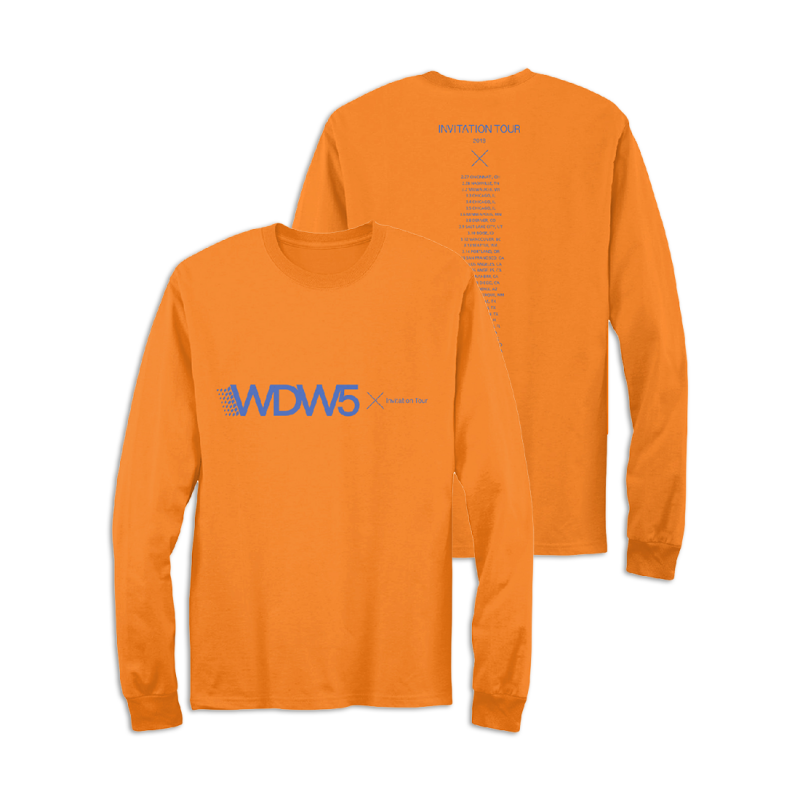 The WDW5 Longsleeve here features the text “WDW5 x Invitation Tour” on the front. 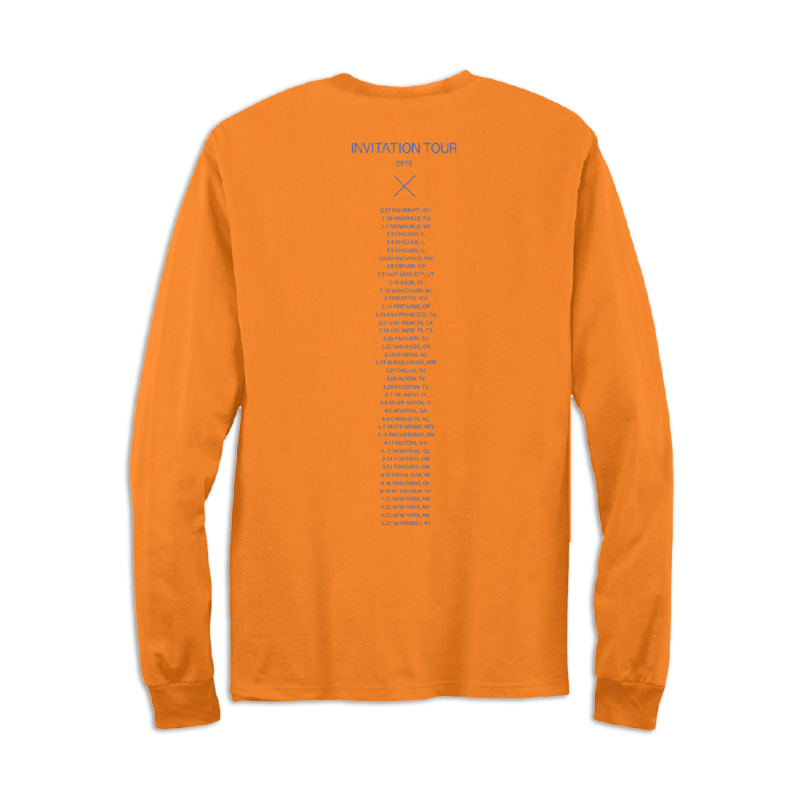 The back features a list of the cities of The Invitation Tour. The design is printed on an orange Gildan brand long sleeve.